"David Janssen aka Ted The Loaf (of Renaldo & The Loaf) started The Darkening Scale in 2006 when RATL took a longer break. It is a purely digital affair and its releases originally came out as downloads only. Over the past couple of years, Klanggalerie has released two DS albums: The Entomology of Sound and Sonic Archeology. We are now happy to present you Stuck Bad, The Darkening Scale's cover version of The Residents' Duck Stab album. David Janssen has processed the original album digitally, he has rearranged and reconstructed it, and the result is a highly original take on this classic Residents fan favourite. We'd like to thank the Cryptic Corporation for support in releasing this." "Blaine L. Reininger needs no special introduction. He is an American post-punk, new-wave and alternative pop singer, songwriter, musician, multi-instrumentalist (particularly violin), writer and performer. He is known for being a member of the group Tuxedomoon since 1977 after co-founding it with Steven Brown and, latterly, for a notable music and theatre career, both as a soloist and contributor to other artists' recordings, including The Durutti Column, Snakefinger, Anna Domino, Savage Republic or Paul Haig. After learning the violin and guitar during childhood and studying music theory in San Francisco, Reininger formed the band Tuxedomoon with composer, singer, musician and college-mate Steven Brown and appeared on early albums such as Half Mute, Desire and Suite En Sous-Sol before departing early in 1983 to pursue a solo career. He permanently rejoined Tuxedomoon in 1988 and has subsequently appeared on more recent recordings such as Vapour Trails, issued in 2007 by independent label Crammed Discs. In 2015 Reininger's friend Albrecht Hirche shot his first feature film, a raod movie entitled Mädchen in Koffer. Blaine contributed the soundtrack which is surprisingly song based and put it on his Bandcamp page in 2018. 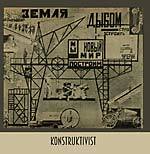 Klanggalerie are now very happy to present you the first CD version of this music. In addition to the score, we have chosen another 9 tracks from Blaine's vast archive to make this a full-length album." "Denis Frajerman started as composer in the French experimental band Palo Alto. With a strong interest in literature and orality as a musician, he collaborates regularly with storytellers and writers for radio sessions, oratorios, or records. Strongly linked to the work of Antoine Volodine, his first solo album, Les Suites Volodine was directly influenced by his writings. They both share a taste for haunting atmospheres, black humor, witchcraft. Volodine and Frajerman also worked on creations, Des Anges Mineurs, post-exotic oratorio composed for six musicians, singer, narrator, dancer and videographer and Vociférations, cantopera for eleven musicians, ordered by the Radiophonic Creation Workshops of France Culture. Frajerman is also composer of soundtracks for contemporary dance, object theater, animation, short films, documentaries and has developed in recent years as a guitarist an approach to this instrument influenced by folk music from Greece and rural blues of the southern United States. On Wastelands/Lawrence Of Arabia he is accompanied on drums, cello, violin, keyboards, clarinet, saxophone and percussion. This beautiful album will appeal to anyone with an interest in the French avantgarde: Ptose, DDAA, Palo Alto, UDMI or Catalogue to name just a few. Included are two cover versions, one of a Minimal Compact song and one by Amon Düül II." "The 180 Gs is a group of 5 singers (who also happen to be brothers) based in Detroit, Michigan and led by composer and multi-instrumentalist David Minnick. They have carved out their niche in the music world by creating new versions of severely iconoclastic albums of the 1980s and 1990s using only their voices. Their debut album is a collection of the works of sound collage artists Negativland. The album titled 180 d'Gs to the Future was released in 2008 on Negativland's label, Seeland Records. The 180 Gs second album is an a capella version of the British band Cardiacs' monumental 1995 double album Sing to God. This project took the group 4 years to complete. It was finally released in the summer of 2018 to critical acclaim. We are now happy to present their third album, a cover of the Residents seminal 1980 release: The Commercial Album: 40 distinct songs, 60 seconds each. Homer Flynn of The Cryptic Corporation says about it: 'The thing that's most impressive about album is that the Gs are not merely imitating the Residents' masterpiece of minimalism, but reinventing it, while staying completely faithful to the source material. Like the originators, the 180Gs are creating their own alternate musical universe, just as curious and original as that of The Residents.'" "Etant Donnes is a French duo named after Marcel Duchamp's last major work. The group consists of brothers Marc and Eric Hurtado, born in Morocco and working mainly as performance artists and musicians. Their sound can be described as a mix of field recordings, found sounds and sometimes whispered, sometimes violent vocals. They describe their sounds like this: 'Through Marc and Eric, it is the volume of each word that becomes an object-sculpture, together with the power of their bodies expressing their voices. Each event is a scream -- indeed even the glissando -- of the strength of the word that sometimes abruptly becomes a rock, a solid surface, not in the least fluvial, as is the narrative of a tale, novel or poetic epic. With both of them, there is no more trace of ancient prosodies, no more trace of the incomprehensible Sainte-Beuve who could claim: 'I have to collect a volume of prose'. The word, the voice, the volume take shape with each other, unveiling a theatre that theatre usually ignores, which has given it such things as a Samuel Beckett's Fin de Partie.' Over the years Etant Donnes have collaborated with people like Lydia Lunch, Michael Gira, Alan Vega and Genesis P-Orridge. La Vue was the first ever recording, dating back to 1979 and originally issued on French Bain Total label (run by Philippe Fichot of Die Form). For this re-issue, the band has found a longer version than was previously available, so this is a unique chance to hear Etant Donnes in their earliest form in a version that has previously been unpublished." "Hula were founded in Sheffield in 1981. Three members (Mark Albrow, Alan Fish and Ron Wright) lived with Stephen Mallinder (Cabaret Voltaire) and Paul Widger (They must be Russians, Clock DVA, the Box) in a villa called Hula Kula. After trying the bass players Alan Watt and Chris Brain (Tense, NOS) Hula recorded the impressive debut album Cut From Inside with Mark Brydon (Chakk, Moloko). Ingredients like cut ups, steady rhythms, and paranoia vocals were blended together into a unique white funky sound. Cut From Inside originally came out on Red Rhino Records in 1983. One year earlier, the first EP under the name Hula was released, entitled Black Pop Workout. It was mostly recorded at Cabaret Voltaire's Western Works studio. This re-issue collects all of Hula's earliest works prior to the seminal second album Murmur. Remastered by Martin Bowes for this CD." "French group Un Drame Musical Instantané was founded in 1976. They present an original, unclassifiable, inventive music, which drifts from jazz to electronic sounds and contemporary music. Klanggalerie has started an extensive re-issue program with these unique avantgarde pioneers which will bring back their classic albums but also side projects like this one. Rendez-Vous was recorded in 1981 but never released. This is what group founder Birgé has to say about the recording: 'I met Hélène when she was doing a performance at Espace Palikao in Paris with choreographer Lulla Card Chourlin. She was singing whilst driving an old Mercedes Benz, trying to run over Lulla, and playing double bass on its roof! I proposed her to record some improvisations at Studio GRRR as I've always done with new musicians and as I'm still doing. The connection was so great, as one can hear on this record 37 years later, that I asked her to join the 15-piece orchestra of Un Drame Musical Instantané which had just been founded. She brought some crazy stuff into the group, playing strange instruments she had invented herself. She is a wonderful flute player, but I asked her to play all kinds of instruments and also to sing, leaving her often free to improvise besides the written score. In the next years we both played as a duo and she became the fourth member of the Drame. When I listen to these pieces today, I'm surprised by the high degree of composition, the quality and variety of our inventions. The mix of acoustic and electronic instruments sounds totally contemporary, plus with the energy of youth and the absolute love for innovative forms.'" "All-new album by Robin Storey aka Rapoon. Founded in 1992 after Storey left Zoviet France, Rapoon soon became an outstanding ethno-dark ambient project that has gained a cult following all over the world. More than 50 albums have been released over those 25 years, some more beat-driven, others more playful and with ambient sounds and ethnic influences. Rapoon has never stopped evolving - think of Cultural Forgeries, an album full of unplugged acoustic music. Or Downgliding, full of compositions on the piano. Little Rocket Man was inspired by the political situation in 2018 and is classic Rapoon. Heavy beats meet drone soundscapes, long evolving tracks make up this new album." "Hardy Fox used to be composer for The Residents. He left the group when he didn't feel fit enough for touring. Since then, he has released many albums under the name Charles Bobuck, switching to his real name Hardy Fox when his albums became more personal. The first, self-titled and also known under the name Heart, is a study of the young Hardy Fox, an album about Love. The second, Nachtzug is about his last days touring with The Residents. After a break from recording, Hardy Fox is now back with a concept album about a gorilla: 'A few years ago a study was done by scientists who were really interested by the idea of how gorillas think. Work was being encouraged by the success of sign language with a gorilla named Koko, who unfortunately recently died. The new research was investigating if they could get information by working with computers directly taking information from the mind of a friendly gorilla. Rilla. Hardy Fox did not get the actual results, but did get inspired by his own mind as it was sent into the imagination of what a gorilla might think.'" "Officer! was founded by Londoner Mick Hobbs. His roots were in the RIO scene of the late 70s and early 80s. Initially he worked as guitarist in The Work, subsequently he became closely associated with This Heat and their Cold Storage Studio in Brixton, working with artists like Family Fodder, Catherine Jauniaux or Zeena Parkins. The band's first album 8 New Songs By Mick Hobbs came out in 1982 on cassette only. It forms the first half of this CD re-issue. With the exception of two songs that came out on 7" on Blackest Ever Black in 2014, the album has never been re-issued in any form, the cassette is nearly impossible to get. It marked the birth of a unique songwriter and improviser with a gift for melodies, difficult arrangements and poignant lyrics. The second album, Ossification, arrived a year later and has been made available on CD. The third album, Cough was recorded and released in France in 1985. It is often overlooked in the band's discography, a fate that many cassette releases share. Again, this is the first time that these songs are being made available. Both tapes have been remastered in 2018 and are presented here for the first time ever in digital quality. Officer! are one of the most important bands in the British art rock scene. Don't miss this rare chance to get hold of two long lost albums." "Rabbit Rabbit Radio is the song-spinning duo of Carla Kihlstedt and Matthias Bossi. Collectively, they are founding members of Sleepytime Gorilla Museum, Tin Hat, 2 Foot Yard, Causing a Tiger, The Book of Knots, and Fred Frith's Cosa Brava. Drawing on their love of both art & folk song, industrial & improvised music and heart-wrenching balladry, their songs are raw, beautiful, sparse and rich. Originally these songs came out on the duo's bandcamp page. Subscribers got new songs as soon as they were finished, later these were collected into album format. 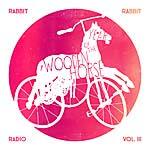 Rabbit Rabbit Radio Vol. 1 was released on CD in 2013 by the band themselves. Klanggalerie are happy to present you Volume 2 for the first time ever on CD. These songs are a missing link between rock/pop and the avanatgarde. Carla Kihlstedt says: 'The songs I write sit on the border between popular music and art song. Where exactly, depends on the subject matter and on the language and strengths of the performers I'm working with. I've never worried that one kind of audience won't understand the other kind of song. Every listener has their own musical reference points, but I've always found people across the (hypothetical) divide to be incredibly open-minded and generous.'" "Rabbit Rabbit Radio is the song-spinning duo of Carla Kihlstedt and Matthias Bossi. Collectively, they are founding members of Sleepytime Gorilla Museum, Tin Hat, 2 Foot Yard, Causing a Tiger, The Book of Knots, and Fred Frith's Cosa Brava. Drawing on their love of both art & folk song, industrial & improvised music and heart-wrenching balladry, their songs are raw, beautiful, sparse and rich. Originally these songs came out on the duo's bandcamp page. Subscribers got new songs as soon as they were finished, later these were collected into album format. Rabbit Rabbit Radio Vol. 1 was released on CD in 2013 by the band themselves. Klanggalerie are happy to present you Volume 3 for the first time ever on CD. These songs are a missing link between rock/pop and the avanatgarde. Carla Kihlstedt says: 'The songs I write sit on the border between popular music and art song. Where exactly, depends on the subject matter and on the language and strengths of the performers I'm working with. I've never worried that one kind of audience won't understand the other kind of song. Every listener has their own musical reference points, but I've always found people across the (hypothetical) divide to be incredibly open-minded and generous.' 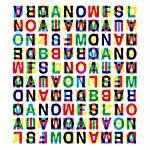 Guests featured on this album include Fred Frith, Shahzad Ismaily, Chandler Travis, Jon Evans, Mark Orton, Nels Cline and others." "Hardy Fox used to be composer for The Residents for over four decades. He later released solo albums under the name Charles Bobuck before finally switching to his real name in 2017. After Heart, Nachtzug is his second solo album. In the beginning, this release was intended to become a TOOK release - simply releasing Fox's sketches for The Residents' Ghost Of Hope album. But this idea soon turned out to be not challenging enough, so Hardy started using his original sketches as the basis of an entirely new recording. In the end, The Night Train became such an exciting album that we trashed the TOOK idea and made it a Klang release. It's too precious to be a limited edition, too good to be heard only by a few. The inspiration came from a real train journey, says Fox, towards the end of his time with The Residents: 'It was nothing special. I needed to be in Zürich for a show and caught the last train leaving Vienna. Eight hours of rolling down the shiny tracks. Plenty of time to think. Too much time to think. Nachtzug, the night train, understands beginnings. Nachtzug, the night train, comprehends ends.'" "Hula were founded in Sheffield in 1981. Three members (Mark Albrow, Alan Fish and Ron Wright) lived with Stephen Mallinder (Cabaret Voltaire) and Paul Widger (They Must Be Russians, Clock DVA, The Box) in a villa called Hula Kula. After trying the bass players Alan Watt, Chris Brain (Tense, NOS) and Mark Brydon (Chakk, Moloko), and after the replacement of Alan Fish by Nort (both drummed for the Cabs), Hula recorded the impressive album Murmur. Ingredients like cut ups, steady rhythms, and paranoia vocals were blended together into a unique white funky sound. Murmur was the band's second album and came out on Red Rhino in 1984. This was also the time of Hula's great singles -- 'Fever Car', 'Get the Habit' and 'Walk on Stalks of Shattered Glass' were all released around that time. They are all added to the album as bonus tracks here making this CD about twice as long as the original vinyl album. Remastered by Attrition's Martin Bowes and the band's own Nort. First time ever on CD!" "Blurt was founded in Stroud, UK, in 1979 as part of the post-punk movement by poet, saxophonist und puppeteer Ted Milton along with Milton's brother Jake, formerly of psychedelic group Quintessence, on drums and Peter Creese on guitar. After three albums Creese left the band to be replaced by Herman Martin on synthesizers who, after a year of constant touring left the band, and was replaced by Steve Eagles, former member of Satan's Rats, The Photos and Bang Bang Machine. Shortly thereafter Jake Milton left to be replaced by Nic Murcott, who was subsequently replaced by Paul Wigens. Most of Blurt's compositions feature simple, repetitive, minimalistic guitar and/or saxophone phrases, but they can also explore more abstract musical territories, often serving as an atmospheric backdrop for Ted Milton's existentialist poetry. The music has been described as dada-avantgarde-jazz or paranoid jazz-mutant funk. Practically impossible to pigeonhole. Poppycock was released on the band's own Toeblock label in 1986 and features song classics such as 'Man To Fly' and 'Down In The Argentine'. The album was remastered for CD by Martin Bowes of Attrition." "Thomas Leer needs no introduction. His album The Bridge, recorded with Robert Rental, and released by Industrial Records in 1979, is a classic of its genre. One year earlier, he put out his first solo single 'Private Plane', a classic until today that was the blueprint of what was later to become synth pop. In 1985 Thomas left the indie scene and signed to Arista Records. He released an album called The Scale of Ten which is full of beautifully arranged pop music. Two years later he formed the duo Act together with ex Propaganda singer Claudia Brücken, releasing an album and several singles, being signed to ZTT Records. After the band's split, Leer released two more records, the first being an experimental album of beats without vocals, the second being From Sci-Fi To Barfly, which was released by Klanggalerie on CD and is still available. 1982 is a collection of songs written that year that for one reason or another never made it onto any official release until Leer released them on his bandcamp page. Klanggalerie are now proud to present them on CD -- another must-have archive release from one of Britain's pioneers in electronic music." "Tábor Radosti is a fantastic band from the Czech Republic. Their debut album came out in 2001 as a self-released CDR that is now totally impossible to find. Tábor Radosti have created a very unique sound that includes drone, voice, samples, but also beats and analogue instruments. Their visuals and lyrics are very much centered around occult themes, if you have ever seen them live you will have been stunned. Klanggalerie is now very proud to start a re-issue program for the first two albums. Many of you have probably not heard of them before, but it is time that they gain popularity outside of their home country. The vocals are spoken in Czech - to Western European or American ears there is a certain similarity to early Laibach, they share the same roughness, but Tabor Radosti also include electronic beats which again is reminiscent of present day Laibach. On this re-issue, we bring back the second album Havamal with also updated artwork and some bonus tracks. NB: We at Klanggalerie stumbled across Tabor Radosti at Castle Festival in Moravia and were so impressed by their performance that we signed them immediately." "Simon Crab has a long history in music. He is anti-capitalist, a practicing anarchist and strongly against material acquisition. Many years ago, he offered the complete back catalogue by his former band Bourbonese Qualk as free downloads. Nevertheless, people like product, so the Qualk catalogue will be-reissued physically, and Klanggalerie are happy to release his second solo album on compact disc. Crab considers himself a non-musician, yet is oddly quite good at playing instruments like the guitar, clarinet, gamelan-percussion and especially electronics. In fact, his favourite musical instrument is the computer. Whereas classically trained musicians often assert that there is no artistry in computers, Crab asserts there is no artistry required to play a musical instrument well. Crab's 'music career' spans nearly four decades and continues until this very day. Demand Full Automation presents our society's choice of either liberating the working class through automation, or further subduing them with it. Enter this rich, and meticulously crafted mostly electro-acoustic narrative with some instrumental excursions, that emphasizes more synthetic than natural textures, and on occasion, a sublime melding of the two. Demand Full Automation continues the narrative; ambient-atmospherically pensive some moments, but mostly energetic and upbeat, and relentlessly marching towards progress."